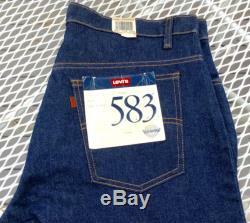 These are original new or deadstock levi jeans style 583, from the fifties. They are size 38-34 and will shrink since they have never been washed. The tag is a special, orange tag, and they are flare. 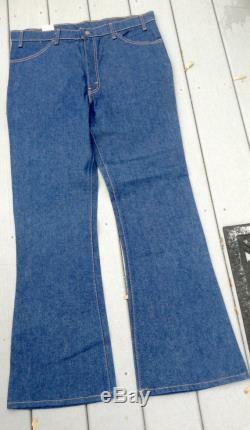 These jeans are special and hard to come by these are called mens jeans, but many women wear them. These jeans are zipper jeans. 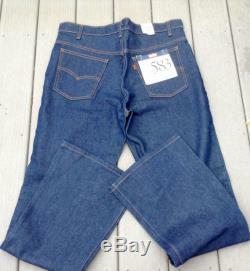 I have deadstock jeans in sizes 38"- 42". 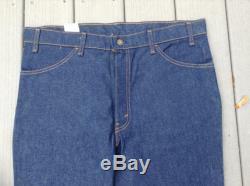 I also have a variety of levi jeans , jackets, shirts, vests, and more, all vintage i hope you enjoyed my shop. Please come back again and check for new exciting items i have the following in deadstock; 40/36 and 38/30. 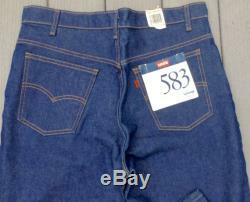 Then i have bell bottoms in 42/32 and 517's in 38/30. Send me a conversation and i will make you a custom listing.